The government has missed its teacher recruitment targets for the last four years and needs to do more to demonstrate how new arrangements are improving the quality of teaching in classrooms, according to the National Audit Office (NAO) in a report out today. The NAO states that schools rely on a constant supply of newly qualified teachers (NQTs) to replace teachers leaving the workforce and to address increasing pupil numbers. The number of teachers leaving state-funded schools significantly influences how many new teachers need to be trained. Between 2011 and 2014 the number of teachers leaving the profession increased by 11%, and the proportion of those who chose to leave the profession ahead of retirement increased from 64% to 75%. Gillian Allcroft, Deputy Chief Executive of the National Governors’ Association, said: “Concern about the recruitment and retention of teachers and senior leaders is high on the agenda for governing boards. 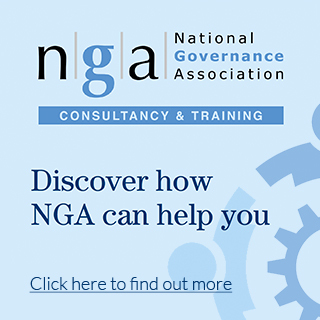 In NGA’s latest survey 40% of respondents said they have difficulty recruiting high quality candidates to teaching posts with secondary governors reporting greater difficulty. Malcolm Trobe, Interim General Secretary of the Association of School and College Leaders, said: “Teacher shortages are severe and are already jeopardising standards. Schools and colleges are doing a very good job in difficult circumstances. However, teacher shortages are directly impacting on the education they are able to provide to young people”. Although the overall number of teachers has kept pace with changing pupil numbers, and the retention of NQTs has been stable, its own indicators suggest that teacher shortages are growing, with the recorded rate of vacancies and temporarily filled positions doubling from 0.5% of the teaching workforce to 1.2% between 2011 and 2014. 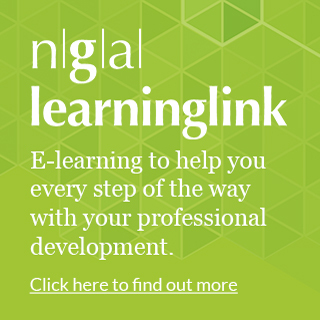 Last month, NGA contributed to a Future Leaders report warning that England’s schools are struggling to fill headteacher posts and called on serving headteachers to identify colleagues with the potential to lead schools and encourage them to develop their skills. According to the report, the Department for Education (DfE) has a “weak understanding” of the extent of local teacher supply shortages and whether they are being locally resolved. It says that in several regions, Ofsted has found that isolated schools struggle to attract and retain enough teachers of the right calibre. NAO research suggests problems in poorer areas, with some 54% of leaders in schools with large proportions of disadvantaged pupils saying attracting and keeping good teachers was a major problem compared with 33% of leaders in other schools. Secondary school teacher training places are proving particularly difficult to fill. It reports that the Department for Education cannot recruit enough trainees in the majority of secondary subjects: 14 out of 17 secondary subjects had unfilled training places in 2015/16, compared with two subjects with unfilled places in 2010/11. In subjects with hard-to-fill places, schools are more likely to accept trainees with lower degree classifications. In secondary schools, more classes are being taught by teachers without a relevant post-A level qualification in their subject. Perhaps unsurprisingly this is most prevalent in the teaching of physics. The NAO also highlighted the fact that although the DfE has increased the number of routes into teaching and spends £700m a year on recruiting and training teachers, the number of different routes can prove confusing to applicants, which may in turn act as a barrier to recruitment. The report states that the level of information must improve. The Department’s indicators of trainee and training quality are encouraging, but do not as yet prove that training is raising the quality of teaching. demonstrate how it is improving recruitment and retention of new teachers and the quality of teaching, and at what cost. with the National College, give greater certainty to providers to help them plan over the longer term.